Our best-selling 5 lb. 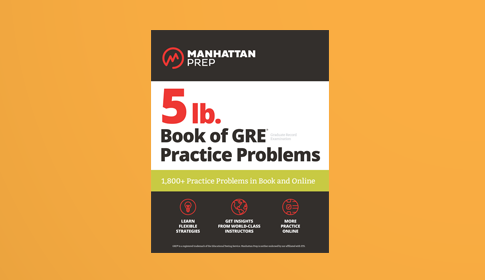 Book of GRE Practice Problems has been updated! The latest edition offers over 2,000 problems with easy-to-follow explanations written by our top-scoring instructors. Organized into 29 chapters, these cover every type of question you'll encounter on the GRE®. Along with new mixed timed sets, a cheat sheet of key math rules, and 100 math drills for you to work on specific areas, we’ve also added online access to 15 lessons from Interact™ for GRE, our on-demand learning platform. And we’ve kept the six full practice sections for you to test your skills and take your practice to the next level. 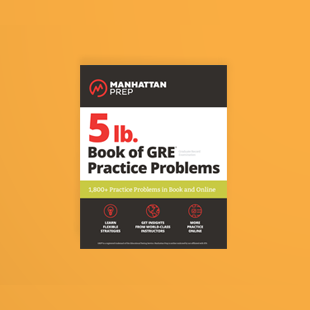 Students who want to further prepare for the GRE® by tackling practice problems. This book contains every kind of question you’ll encounter on the official GRE.